Doctors opposed to federal cuts to refugee health care are vowing to keep up the pressure on Ottawa by tracking how the cuts are harming or even killing their patients. Doctors who work with refugees say they'll track how federal cuts to health care are harming or even killing their patients, people they describe as among the weakest in Canadian society. Canadian Doctors for Refugee Care says it will monitor and publicly report on the consequences of the cuts that go into effect on June 30 under the government's Interim Federal Health Program. 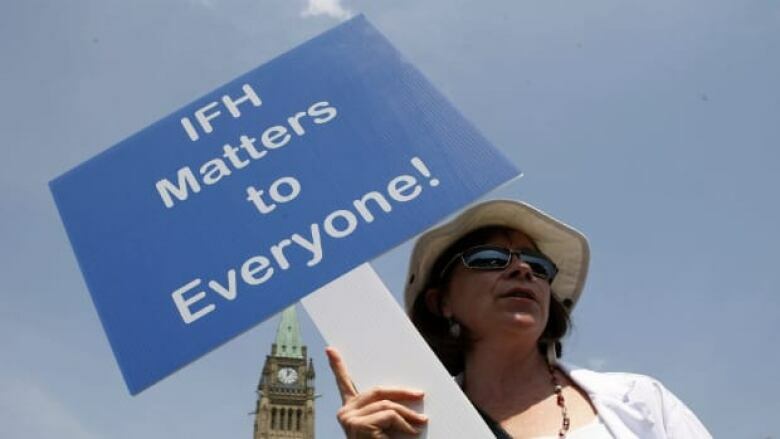 "This is not a fringe issue," said Dr. Mark Tyndall, chief of infectious diseases at the Ottawa Hospital, "It goes to the core of our values as Canadians." Immigration Minister Jason Kenney has defended the cuts, saying they will merely cut dental and vision care, services other Canadians would require private insurance to obtain. But Tyndall said the cuts go far deeper and lashed out at the minister. "While doctors have been focusing on the serious health implications of these cutbacks, Minister Kenney has been focusing on divisive politics, pitting tax-paying Canadians who are dissatisfied with their own health care against some of the most traumatized people in the world." Along with eliminating vision and dental care, the federal cuts will also reduce prescription drug coverage for refugees. Only medication required to prevent a public health outbreak will be provided. Physicians say that means refugees who require medicine for conditions like angina, asthma or epilepsy will be turned down. Failed refugee claimants and claimants from an as-yet unpublished list of "safe countries" will have health care services cut even further. They will be eligible only for treatment of diseases that pose a risk to public health. Tyndall said the bottom line is health care coverage for this category of people will essentially be eliminated. And he says while some Canadians may support that, they should consider the consequences. "I think to the Canadian public, well, that’s reasonable. If they're a failed refugee, well, why should they be getting benefits from the government? But the fact is, they’'re still here. If Canadians want to stumble over them on the street when they're dying. I mean, that's one option." Physicians have already staged protests to urge the government to rethink its reforms. The government, however, is not backing down. Canadian Doctors for Refugee Care says its next move will be to track the impact of the cuts on refugees through a national doctors' survey called the Refugee Health Outcome Monitoring Evaluation System, or Refugee HOMES. "Our network of doctors across Canada will be reporting to us the details of any harm or death resulting the changes," said Dr. Philip Berger, Chief of Family and Community Medicine at St. Michael's Hospital in Toronto. He vowed physicians will keep up their pressure on the government. "We will report this and relay these stories back to the public, the media and most importantly to Conservative members of Parliament at public events, in their offices and any health-related political announcement by this government." Berger said physicians are also contacting provincial coroners, asking them to be on the lookout for any deaths that may have been caused by the cuts. "We are stubborn. We're upset. We are professionals and the government is hurting our patients," Berger said. The immigration minister's press secretary, Alexis Pavlich, responded Wednesday with a written statement, calling the cuts "reasonable, measured changes that will stop the abuse of Canada's overburdened health care system by bogus refugees." "This change is about treating both hard-working Canadian taxpayers and legitimate refugees fairly, while cutting off benefits to those who are abusing our generosity," the statement read.